The Devonport Yacht Club was officially founded in 1905, but traces its roots back to the late nineteenth century, when yacht racing was first organised on the North Shore, under the auspices of the North Shore Sailing Club. Following a name change, this became the North Shore Yacht Club. 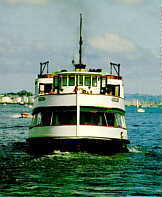 In 1909 the Club, in company with the other three major yacht clubs in Auckland, formed the Auckland Provincial Yachting Association, forerunner of the present Auckland Yachting and Boating Association. The Club suspended all operations in 1914 at the outbreak of World War I, it being deemed unpatriotic to indulge in sporting activities of that nature. It did not reconvene until 1923, when following the relocation the North Shore Yacht Club to Mechanics Bay in 1922, Devonport was left without a functioning yacht club. First Patron of the Club was His Excellency Admiral of the Fleet Viscount Jellicoe of Scapa, Governor General of New Zealand. The Club has maintained a close association with the Navy ever since. In 1926 a lease was negotiated with the local council for the site vacated by the Devonport Steam Ferry Company. The Club was registered as an Incorporated Society in 1927. 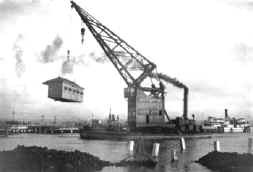 Following the demolition of the old Victoria Wharf, the passenger ferry waiting room was transported to the club’s new site by floating crane. Initially it was used solely for storage of club member’s sails, oars and other boating paraphernalia. This structure forms the core of the current clubhouse. The Club’s social events, dances, concerts and prize presentations at that time were held elsewhere; principally in the local Masonic Hall. Haulage has always been a major focus of the Club. Initially foreshore haulage along the length of the Devonport waterfront was by hand operated winch on a multiple purchase utilising ‘deadmen’ on shore for uphaul and offshore for downhaul. A vessel would sail into its cradle on a full tide to be winched further ashore on well greased ways. In the mid fifties, a considerable amount of progress was made in improvements to the Club’s facilities. It had earlier been recognised that haulage was the Club’s greatest potential revenue earner. This lead to the reclamation of the area to the west of the Clubhouse. The Watson Wall running the length of the waterfront was protected by an Act of Parliament so discretionary powers had be sought. These having been granted, construction of an angled sea wall, a retaining wall and slipway proceeded. Many hours of voluntary labour eventually completed the tasks. In the mid fifties, a considerable amount of progress was made in improvements to the Club’s facilities. It had earlier been recognised that haulage was the Club’s greatest potential revenue earner. This led to the reclamation of the area to the west of the clubhouse. The Watson Wall running the length of the waterfront was protected by an Act of Parliament so discretionary powers had be sought. These having been granted, construction of an angled sea wall, a retaining wall and slipway proceeded. Many hours of voluntary labour eventually completed the tasks. Subsequent committees over the years have overseen the construction of dinghy lockers, extensions to the front of the Clubhouse with additional dinghy storage space, kitchen, toilets and entrance foyer, a caretakers flat, the installation of a mains sewage system, construction of dinghy skids, and the western breakwater, the sealing of the seaward areas adjacent to the Clubhouse and dinghy lockers, extension to the seaward side of the Clubhouse with additional dinghy storage, providing a balcony and viewing deck with unsurpassed views of the Inner Harbour, and the sealing of the approaches to the foyer. The Club has undertaken a major refurbishment of the Clubhouse. Stage 1 of this was completed in November 2010. This comprised turning the area of the old caretakers flat and Club office into the new Sir Peter Blake Lounge and moving the bar to its current position. Stage 2 was completed in 2012 and involved the current mezzanine area and deck. The mezzanine was doubled in area, the roof raised to match the profile of that of Stage 1 and the deck pushed out to match the line of the balustrade of the new stairs. All this was aimed at reorienting the building towards what should be the primary focus; the sea. The Club has a proud racing heritage. While over time small boat sailing declined, the Club continued to foster coastal and offshore cruising, assembling a sizeable fleet of Bert Woollacott designed and built short end spoon bowed cruisers. Ladybird, one of Bert’s designs, skippered by his son John became the first New Zealand boat to win the Trans Tasman Race in 1952. Another of his designs the twenty eight-foot ketch Marco Polo, built and skippered by Club Member Tony Armit became the first New Zealand designed ketch to circumnavigate the world (1954 - 1957) for which Tony received the coveted United States Vos Award. A smaller fleet of Col Wild built Herreshoff sheer type racers found their niche in the Club. Over the years the Club has assembled a magnificent collection of trophies including the oldest known cup still competed for in New Zealand - The Herald Sanford Cup (1870). However the Duder Cup (1922) and the George Winstone Trophy take pride of place in a splendid showcase display. Martin Foster and the Late Sir Peter Blake KBE (Immediate Past Patron) initiated the concept of a two person race around the North Island. In the inaugural race in 1977 competitors and spectators alike witnessed H.R.H. Prince Phillip, the Duke of Edinburgh officiating at the start in the presence of Her Majesty, the Queen. Other important offshore races conducted by the Club include Three Handed Hauraki Gulf Rally, The Duder Cup and a range of Family Cruising Races. The Fred Norris Memorial Trophy (incorporating Fred’s own vernier sextant) is awarded in recognition of meritorious achievement in the sport of blue water sailing. Among past recipients is Sir Peter Blake undoubtedly our most famous ocean mariner. A recent addition is the Devonport Multihull Trophy in recognition of meritorious sailing achievement in Multihulls, the first recipient was Sir Peter Blake for his winning of the Two Handed round Australia Race in Steinlager I.